Born October 15, 1881 in Guildford, Surrey, England, P.G. Wodehouse’s writing would come to reflect his upper-class British upbringing. As his father was a judge in what was then British-controlled, Hong Kong, Wodehouse would see little of his parents before he was fifteen. He spent the majority of his youth either in the company of a nanny or at a number of British boarding schools. A star pupil throughout his schooling years, a change in the family’s economics would actually force a young Wodehouse into banking. Banking was an unlikelihood career given his future profession, he would later confess he, "never learned a thing about banking." However, he did use his time in banking as a resource to write, Psmith in the City. In 1902, his writing prowess led him to leave banking and take over a comic column for The Globe, a British newspaper of the time. This brought even greater opportunities, until he finally moved to America. After 1914, he had residencies in both Britain and America, until 1934, when he moved to France. Wodehouse would remain there despite the onset of World War II. Consequently, when the Germans took over the country, he was interned as an "enemy alien." 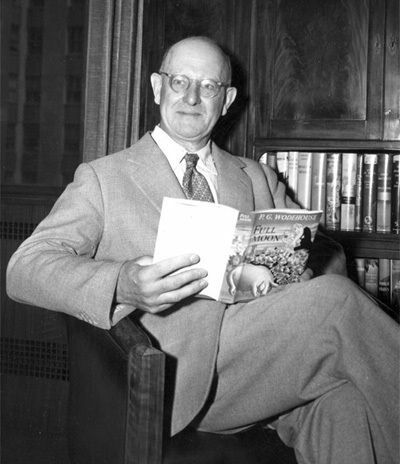 Wodehouse drew from his time in internment to write a series of radio talks directed at Americans, with whom he was extremely popular. Many of his fellow British artists grew cross with him over what they perceived as a collaborative nature with the enemy (the programs were produced in Germany). Despite being defended by such luminaries as Evelyn Waugh and George Orwell, P.G. Wodehouse took the opportunity to utilize his trademark humor. When Winnie the Pooh author, A.A. 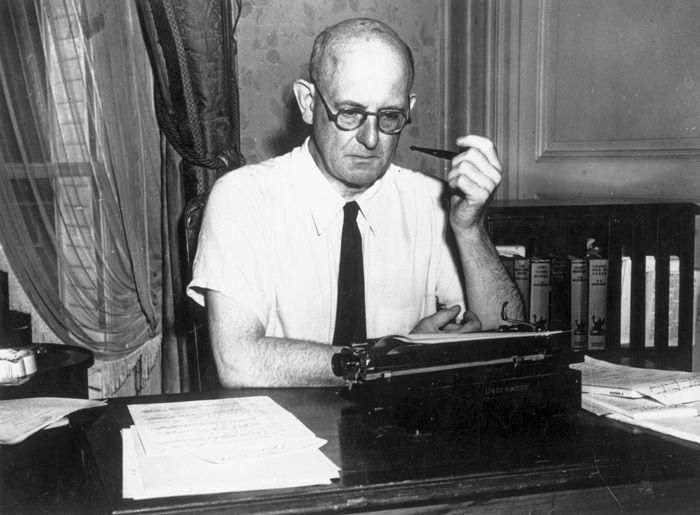 Mine took aim at him, Wodehouse fired back by penning a parody entitled, "Rodney has a Relapse." The story is about a father, based on Milne, who wrote about his absurd son, "Timothy Bobbin." Sean O’Casey, a famous British playwright, would also publicly insult the author, calling Wodehouse a, "performing flea." Not to be defeated, Wodehouse titled a collection of letters he had written, Performing Flea. British intelligence would later clear Wodehouse of any wrongdoing and the writer was later bestowed a knighthood in 1975. Wodehouse’s writing style is now iconic. His stories generally follow a naïve upper-class protagonist, who navigates his social structures with dimwitted plots and light-contempt. The writer wasn’t shy about his writing style either. In his autobiographical work, Over Seventy, he wrote, "I go in for what is known in the trade as 'light writing' and those who do that – humorists they are sometimes called – are looked down upon by the intelligentsia and sneered at." Critical opinions did not stop him from becoming one of the most beloved writers of his time. In the introduction to his 1929 novel, Summer Lightning, he wrote, "A certain critic—for such men, I regret to say, do exist—made the nasty remark about my last novel that it contained 'all the old Wodehouse characters under different names'. He has probably by now been eaten by bears, like the children who made mock of the prophet Elijah; but if he still survives he will not be able to make a similar charge against Summer Lightning. With my superior intelligence, I have out generalled the man this time by putting in all the old Wodehouse characters under the same names. Pretty silly it will make him feel, I rather fancy." The book would be twice adapted for the screen and three more times for the stage. P.G. Wodehouse passed away on February 14, 1975, but not before learning that his short stories would be the subject of a British television series, The Wodehouse Playhouse. He must have worked so hard at his writing. Because it seemed so simple. Simply delightful. Simply humorous. Simply wonderful.